Is it possible that we are wrong? You either believe that the Word of God is true and was fulfilled by Jesus Christ, or you have no chance at all for salvation. Given this scenario, if you are still doubtful, then you may want to know what the odds are. Let’s consider the odds of all these prophecies being fulfilled by someone who walked the earth since the beginning of time until this day. If it wasn’t divine intervention, then perhaps we can measure the odds of it happening by chance. 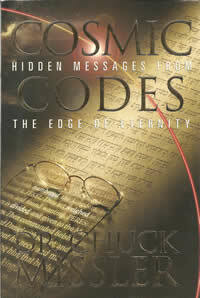 For this exercise I use some good work from Dr. Chuck Missler and his wonderful book, Cosmic Codes, Hidden Messages from the Edge of Eternity. I specifically refer to a portion of his work found in chapter 16, titled “Measuring Confidence” (pp.217-230). What is the probability that one single individual since the beginning of time could fulfill all eight of the following conditions? If you multiplied this out it would be 1 in 10 to the 28th power. Therefore the odds of these eight prophecies happening by chance to one particular man within that time frame is found by dividing 10 to the 28th power by 10 to the 10th power, which gives us 10 to the 18th power. How big a number is that? 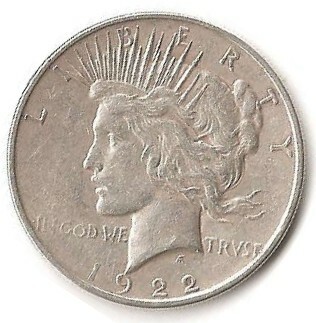 Let’s take a silver dollar. I’ll use the one that I carry in my pocket at all times. I actually use it for witnessing to unbelievers concerning the amazing power of our God. In fact I use this exact example in my story to them. This example originally came from Peter W. Stoner, Sience Speaks. So let’s look at that huge number that is required in order to make eight of these prophesies come to pass in one man since the beginning of time up until today. Let’s pretend that you had 10 to 18th power silver dollars. Do you know how many that is? It is enough to fill an area two feet deep. Now the question is; how big of an area? How about the size of your church? If we filled your church two feet deep in silver dollars is that large enough to hold these silver dollars? Nope! How about the size of your city? I don’t even care what city you live in, if we filled your city two feet deep in silver dollars, would it be large enough to hold 10 to the 18th power silver dollars? Nope, but I bet the city folks would love to see it though. How about the county that you live in? Is that big enough to hold the number that we are talking about? Nope. We would need to take the whole state of Texas and cover it with silver dollars to a depth of two feet. 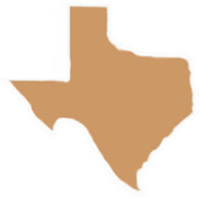 How big is Texas? You would have to add together the sizes of Ohio, Indiana, all of New England as well as all the Middle Atlantic states combined. Finally we would have a big enough area to hold that quantity. This area is 268,581 square miles and remember that it is filled two feet deep with silver dollars. That is an unbelievable amount of silver dollars. Now stick with me, because we aren’t done yet. The next step is to make one of them gold plated, drop it by helicopter somewhere in the state of Texas and then mix all of the silver dollars up thoroughly. Finally we would need to take a blindfolded man or women, or better yet a monkey, since the evolutionists think that’s where they came from, and let the blindfolded monkey go anywhere in the state and pick up one coin. The likelihood of that monkey picking up that gold plated silver dollar on the first try is the same as the odds of these eight prophecies coming true in one man without divine intervention. If our blindfolded monkey did that, then I’ll be a monkey’s uncle. But since it’s not going to happen, I’ll stand firmly as a son of God. In fact, let me go on record as being one. What if we really wanted to go out on a limb and say that all 300 predictions in the Old Testament concerning the Messiah would come true? Which of course it has been shown to be fulfilled. If you were a gambler, what would be the odds of that happening? How big is that number? Scientists tell us that the range of total atoms in our entire universe are somewhere between 10 to the 66th power and 10 to the 80th power. You would have more luck randomly picking one atom out of the whole universe then all of these prophecies coming to pass in one man without it being controlled by God. Breathtaking isn’t it? In the field of physics, it is assumed that any probability smaller than 1 chance in 10 to the 50th power being selected on the first try is manifestly absurd, and thus it is defined as such. To attribute the fulfillment of the specific Messianic prophecies by Jesus Christ to the coincidental actions of unaided chance alone is, by standard scientific definition, absurd. Every one of them have come to pass in the Messiah, Jesus Christ. Praise be to God! Let’s look at the eight Old Testament prophecies that we are going to study regarding Jesus Christ. Again, there are over 300 prophecies predicting Jesus Christ, however I’m only going to study these eight. Here they are listed for your preview. 5. Zechariah 11:13 And the LORD said to me, “Throw it to the potter” -- that princely price they set on me.” So I took the thirty pieces of silver and threw them into the house of the LORD for the potter. Isn’t it crystal clear? Jesus is our Messiah. Our heavenly Father guarantees it through the Word. He backed it up by boldly foretelling this over 300 times before His Son was given. If you don’t believe Jesus is the Son of God, then I challenge you to find your salvation in that “one atom in the universe.” Those would be the same odds. (Actually your odds are much greater of picking that one lucky atom in the universe on the very first try, then it is for these prophesies to come true without God’s intervention.) Would you want to bet your life on picking one atom in the whole universe to anchor your salvation to? (Some of these same nonbelievers consider it a waste of money to bet on the powerball lottery, but compared to these numbers, the lottery is a sure thing!) It’s unbelievable how many normally intelligent human beings deny their opportunity of salvation through Christ. It makes my heart bleed for them and their pride. I know what is at stake, because I was once lost in my pride. I truly pray that the lost may come to see the light and the truth. Have you ever smelled sulfur? I’ve smelled water that had a sulfur content in it and it was nasty. It was from a clean well in central South Dakota, but I couldn’t drink it without gagging. I can’t imagine a fiery lake of sulfur with worms that never die. I think, given the two choices, I’m so glad that I gave my life to Christ. Especially since He gave His life for me and for the remission of my sins. Remission means to remove. That means your sins are gone. Vamos! They have to be removed in order to stand in God’s presence. As I mentioned earlier, I will only select eight of this group of 300 prophecies to give you a representative sample of the power of the Word of God. If you appreciate the significance of these eight, you will be overwhelmed by the power of the rest. Please join me as we dig into the eight.